If a qualified individual reasonably believes that financial exploitation of an eligible adult may have occurred, may have been attempted, or is being attempted, a qualified individual may notify any third party previously designated by the eligible adult. Disclosure may not be made to any designated third party that is suspected of financial exploitation or other abuse of the eligible adult. 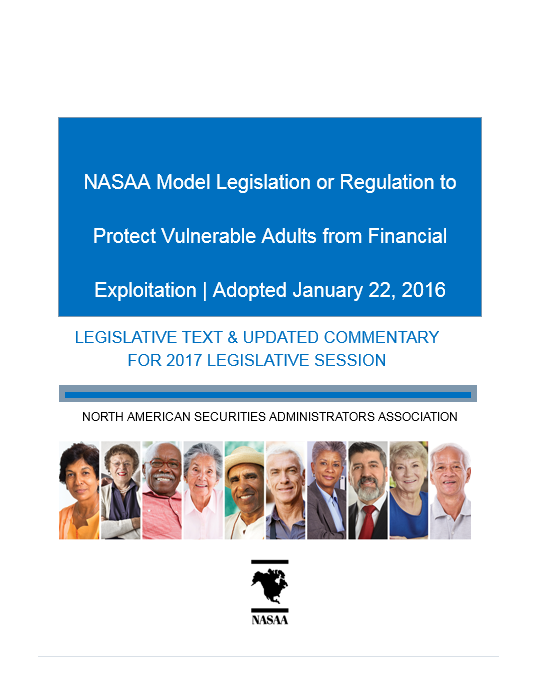 [i] NASAA believes financial services firms should be doing more to work with seniors and other potentially vulnerable clients to identify appropriate points-of-contact ahead of time in the event of suspected exploitation or diminished capacity, for example at the time an account is opened. Under Section 5, a disclosure may not be made to a third party if the qualified individual suspects the third party of being aware of or involved in the financial exploitation. This is important because research indicates that a high proportion of reported senior financial exploitation is perpetrated by friends or family members.